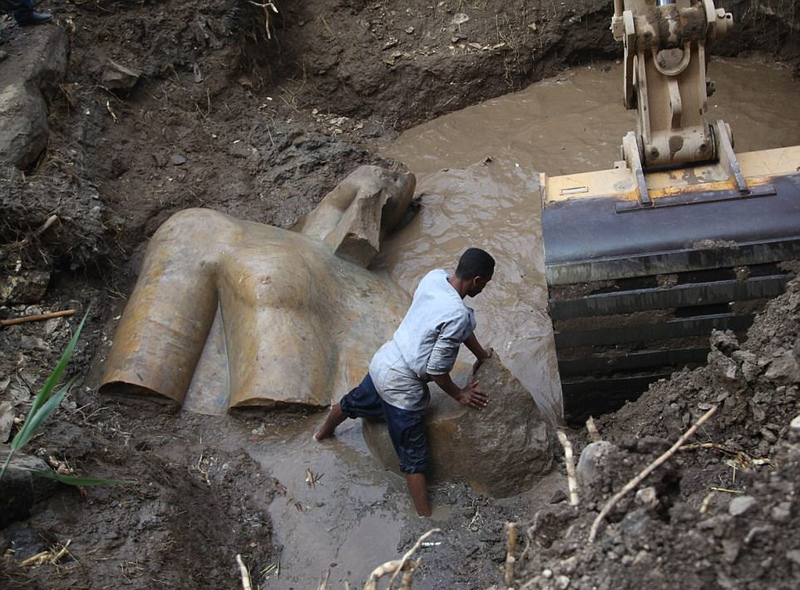 Archaeologists from Egypt and Germany have found a massive 26ft (8 metre) statue submerged in ground water in a Cairo slum. 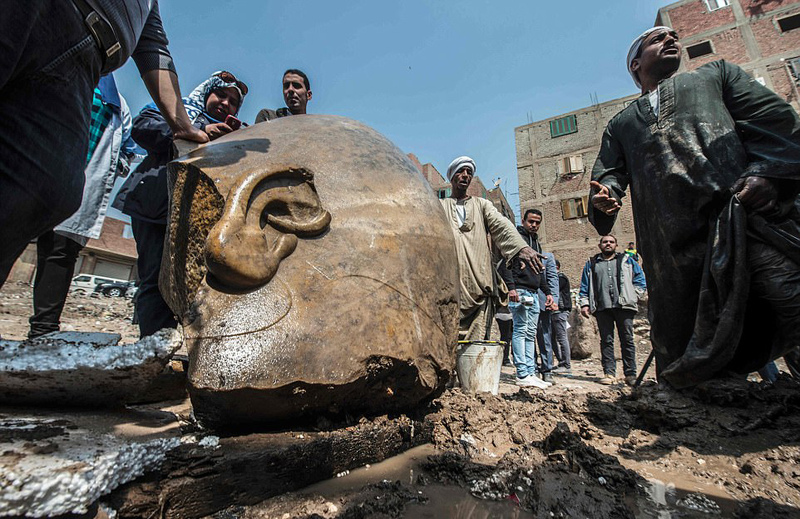 Researchers say it probably depicts revered Pharaoh Ramses II, who ruled Egypt more than 3,000 years ago. The discovery, hailed by the Antiquities Ministry as one of the most important ever, was made near the ruins of Ramses II's temple in the ancient city of Heliopolis, located in the eastern part of modern-day Cairo. Quite an amazing find. The workmanship on these statues is simply amazing. I doubt anything made today would last that long. Pharaoh Ramses II's country suffered the raids of the Sea Peoples who, according some scholars, could have been the Greeks coming home after the plundering of Troy. In some stories in the Odyssey is possible to find some indications of these expeditions.